Somali pirates have seized a small boat, and its 11 Indian crew members, and taken the vessel to along the central coast, a state official said Monday. It is the latest ship targeted by Somalia's resurgent hijackers. The pirates on Monday afternoon anchored the sailboat on the coast off Elhur, 50 kilometers (31 miles) south of Hobyo, which was a center of the piracy that was rampant several years ago, said Ahmed Mohamed, an official with the Somali state of Galmudug. Local elders are trying to negotiate with the pirates to secure the release of the crew and the boat, he said. Somali pirates often release boats chartered by Somali businessmen without ransom. 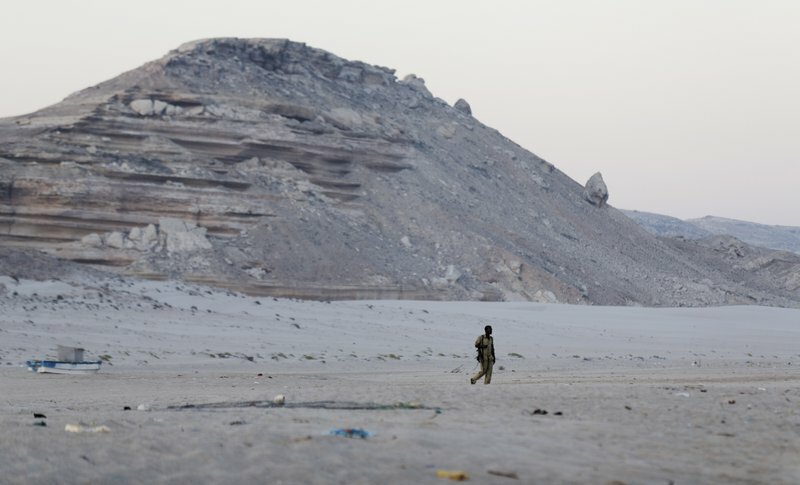 The attack on the small ship happened Saturday as the vessel passed through the narrow channel between Yemen's Socotra Island and the Somali coast, said Graeme Gibbon Brooks, CEO of Dryad Maritime, a shipping security firm. He said the pirates were taking the vessel to the Eyl area of northern Somalia. There was conflicting information over the boat's name and where it was heading. Brooks said the small dhow, a traditional wooden sailing ship common in regional waters, initially was heading from Dubai to Bosaso, Somalia. Malini Shankar of the Indian Directorate General of Shipping told the Press Trust of India news agency that the vessel was instead heading to Yemen, where a Saudi-led war against Shiite rebels holding its capital has raged for years. Other Indian media reported the boat was heading to Mukalla, a southern port city once occupied by al-Qaida in the Arabian Peninsula that has since been captured by Saudi-led forces. India's Ministry of External Affairs said it was trying to gather information about the hijacking. Databases also showed the boat was named either the MV Al Kausar or the MV Al Kaushar. It wasn't immediately known what cargo the vessel is carrying or who owns or operates it. 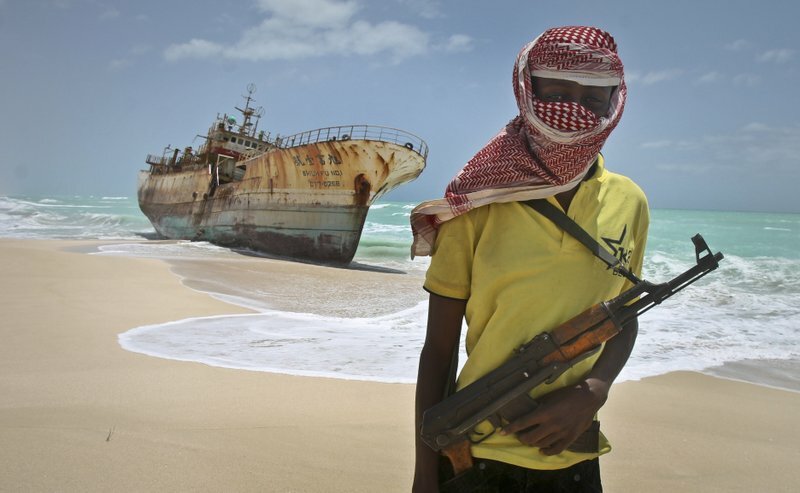 Piracy off Somalia's coast was once a serious threat to the global shipping industry. It has lessened in recent years after an international effort to patrol near the country, whose weak central government has been trying to assert itself after a quarter-century of conflict. Since then, concerns about piracy off Africa's coast have largely shifted to the West Africa's Gulf of Guinea on the Atlantic Ocean. But frustrations have been rising among Somali fishermen, including former pirates, at what they say are foreign fishermen illegally fishing in local waters. In March, Somali pirates hijacked the Comoros-flagged oil tanker Aris 13, marking the first such seizure of a large commercial vessel since 2012. They later released the vessel and its Sri Lankan crew without conditions, Somali officials said at the time. Pirates in late March also seized a fishing trawler, which police warned could be used for further piracy. 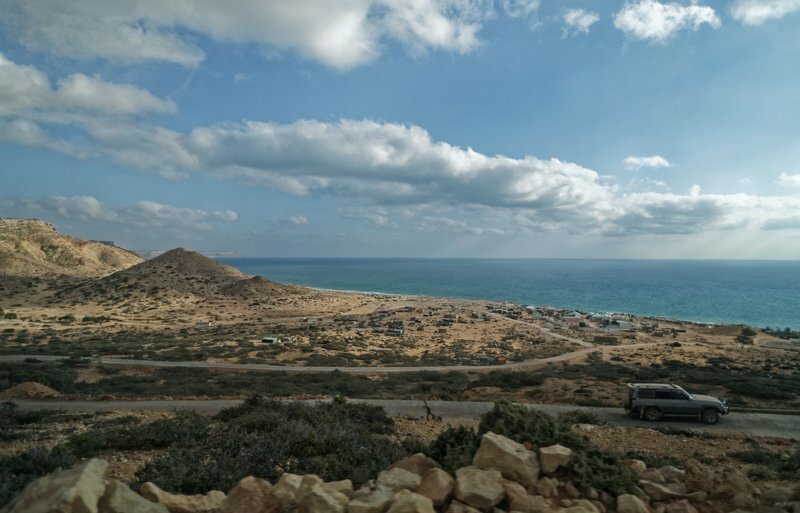 Dryad Maritime, the maritime safety company in Britain, is warning its clients to stay at least 100 nautical miles away from the so-called Socotra gap over piracy concerns. "The fact they've taken three now in a row is an indicator or a warning of a growing problem" Brooks said. "I don't think they are going to stop doing this."